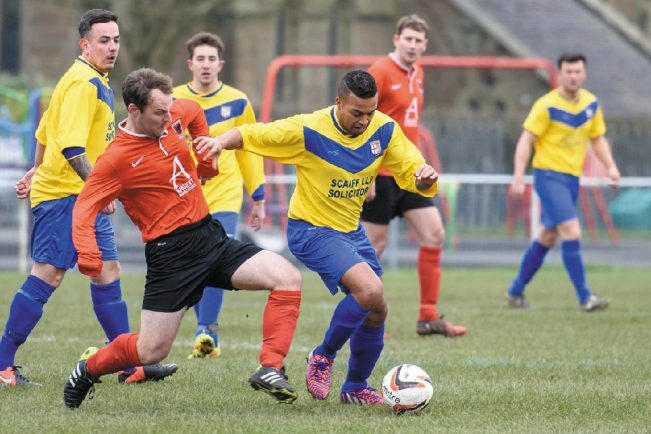 FAIRFIELD Villa general manager Paul Oakes has said he is beginning to make preparations for next season. Villa currently sit eighth in the Midland League Division Two table and are set to finish outside the top two for the first time in 11 seasons. But the club has gone through a lot of transition this season, Paul Wilkes has taken over as chairman and a lot of Villa’s influential players from last season have moved on. And Oakes told the Standard he is already planning for next season. “This season we have had a lot of disruption and we finally have a settled squad,” he said. “The chairman has got some very good plans for the club and I am very much looking forward to recruiting some new faces next season. Villa’s next league game sees them make the trip to title hopefuls Alvis Sporting Club, with the previous meeting between the two sides ending in a 0-0 draw – the only game Alvis have dropped points in all season. With Alvis involved in a plethora of cup competitions, they are currently playing catch up and are in with a chance of clinching the Division Two title. And Oakes believes that Alvis will be the side that claim the title come the end of the season. “The title race is definitely between Alvis, Chelmsley and Droitwich – I don’t think Rostance are there just yet,” he added. “Out of all them though, I believe Alvis will win it and they will be hoping to get some revenge on us following the draw earlier in the season. “They are a very good footballing side for this level and they have the financial backing along with experience. Ahead of Saturday’s fixture, Villa will be without Pete Jenvey (other commitments) and Ben Smith (knee), but apart from that, Oakes has a full strength squad to choose from.